SIR!? SIR, I DO BELIEVE I AM ABOUT TO WRECK THIS! 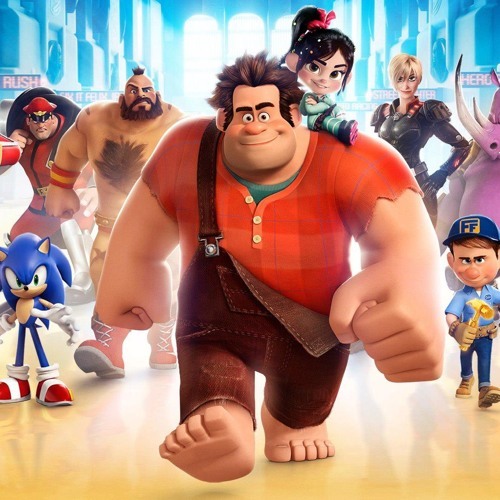 Is Wreck-It Ralph a thinly cloaked champion of the status quo, designed to consolidate the power of the 1% and disenfranchise the rest of us? According to the Movie Boys, yes, Yes it is, We ruined Wreck-It Ralph. Sorry. Not a arcade machine, but metalgear has a pachinko machine! I always thought if Wreck-It Ralph was black then the apartments' inhabitants would come across as incredibly racist. I finally got around to seeing this, how come you don't post these on you tube. I'd die to get you on a youtube podcast sir. @devac-1: Maybe.... maybe not. YOU WILL NEVER KNOW! at several points in this... how did you not shove your tongue all the way through your cheak? @a7xf: Are you some kind of monster? Are the guy who designed this: https://pbs.twimg.com/media/CiGhL5oUkAALApp.jpg ? Do Alone In The Dark some time. Another Uwe Boll "classic"! If games can travel through the power strip, couldn't a lot of this stuff come through a psp plugged in overnight? Sugar Rush was altered and the Gold Coin mechanic could be implemented by kind candy to execlude venellope from racing. That workaround could be the reason the medal from another game did work to register venellope in the system. Why couldn't there have been a Tapper arcade game in Japan that was then sold to a US Arcade. Wouldn't that explain it? @darkalter2000: I think it's our moral responsibility. Ralph's life would be way worse if he didn't do his thing, also a ton of other people's lives got better. Will you guys do an episode on The Wizard eventually? And that's the underlying theme of the film, everyone acts according to their programming. Ralph wrecks everything, Felix fixes everything, Vennelope is created to race, she "can feel it in her code" and the moral of the story is, it's not about your lot in life, it's what you choose to do with it that's important. It's why the movie begins and ends with Ralph at Bad-anon meetings. Obviously this arcade imports games, and had a limited run at trying to charge for console games where they sampled Tomb Radar. They don't like Ralph because he wrecks things, it's in his nature, just as it's in their nature to dislike wrecking. @oldschoolzinger: That's exactly the same thing I surmised in my head,their world isn't self-contained. You really have to admire Conrad's professionalism... I'd never have the patience to document this movie so well.